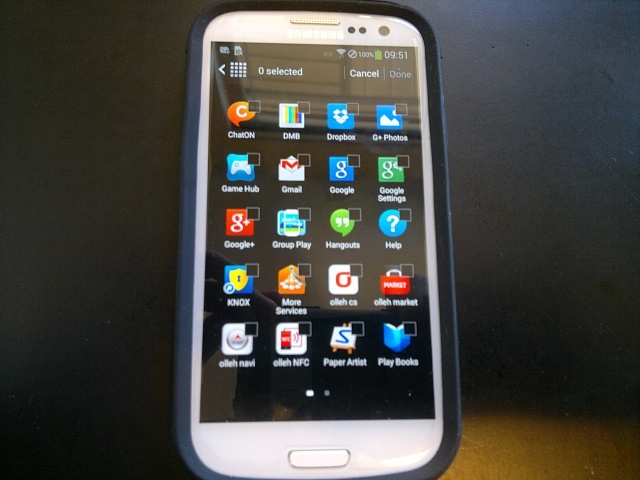 Okay, so I have been a Symbian user for quite a while now and I was given a Korean S3 from my father. My Nokia N8 was getting a little old, and I thought it would be nice to try Android for a change, especially since I was given the S3 for free. 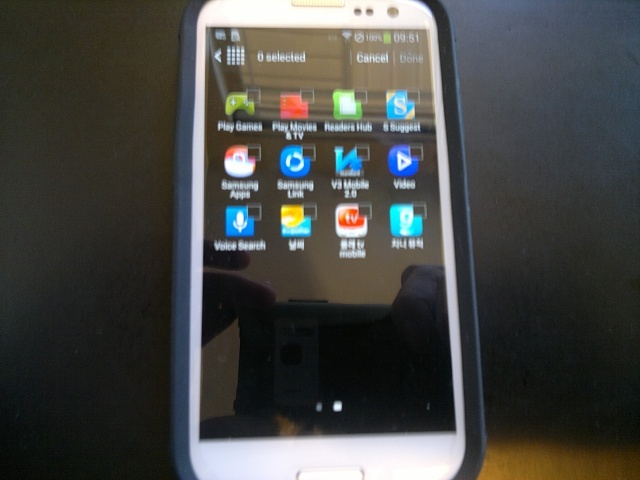 When I first turned on, the phone upgraded it self from Android 4.1.2 to 4.3 by itself. As I started using it, I was surprised with the amount of bloatware on the phone. All the Google Apps, Samsung Apps, Olleh Apps, and other Korean apps are all useless to me. At least I can "hide" them in the apps menu, but there are 4 applications that are permanently stuck in the task manager menu. It is getting very annoying, since there is no way for me to get rid of them. Now I am wondering why Galaxies are so popular. Secondly, this is my home screen on my Nokia N8. and a pop up fave apps menu. I like this as I do not like flipping through multiple homescreens. Now on my Galaxy, there is no way that I can fit the clock widget, daily agenda, AND music player all in one screen. All in all, I am not all too impressed with Android so far, but I do like how fast Galaxy S3 is, and I am willing to give it a go. 1) Deleting [inappropriate language removed by moderator] apps issue from Samsung, Network provider, and Google? 2) Fitting an agenda, mail, and music player all in one screen? 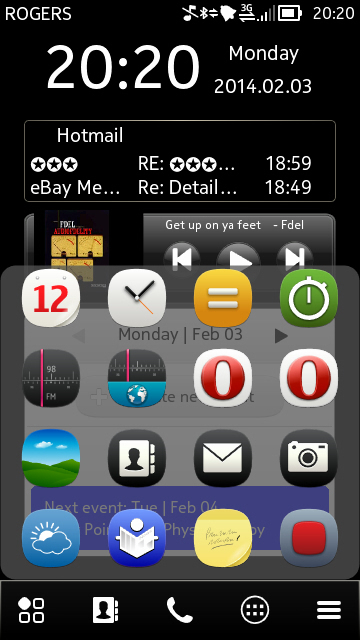 I do have an experience flashing custom firmware on my Symbian device; I only did that since Nokia discontinued their support. 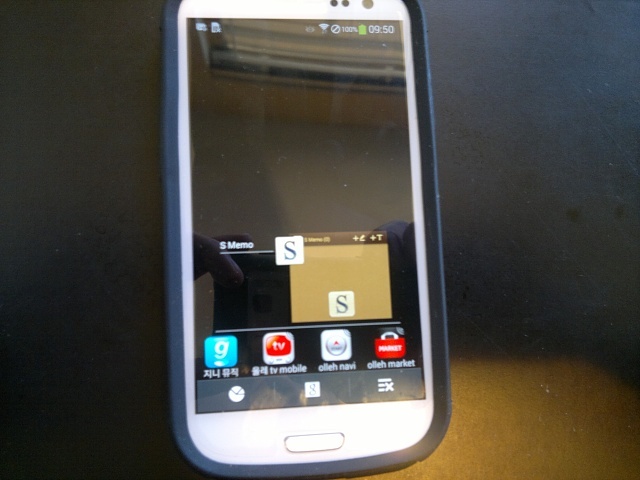 But Galaxy S3 is still a fairly recent device and still supported. However, I am willing to try a custom firmware again. Your going to have the Google stuff. As for the Samsung and Provider stuff, I would go looking for a custom ROM. I do not know where to find them for the Korean version, but you might try XDA Developers. Make sure you get the right device. You should be able to disable most of the stuff though with 4.3 on your phone. And I am not sure if they refer to the same thing. Could someone clarify what they all mean? Should I "root" first before I do the custom ROM? I mostly like the 4.3 OS itself, I just want to get rid of the bloat. Rooting is giving you absolute control over the OS. You would either have to root, or when you put a ROM on you would be rooted since most are already. If all you want to do is get rid of bloat. what you can do it just root the phone and go from there. There are root apps that will allow you to get rid of anything, or freeze them so they do not run, if you cannot get rid of the through the normal uninstall process. EDIT: Do not get rid of the Google apps. That can be dangerous to get rid of some of them (I would be more specific but I do not know exactly what is going on in the Korean world of smartphones. Do your research before you get rid of stuff. Most carrier bloat is harmless to get rid of. 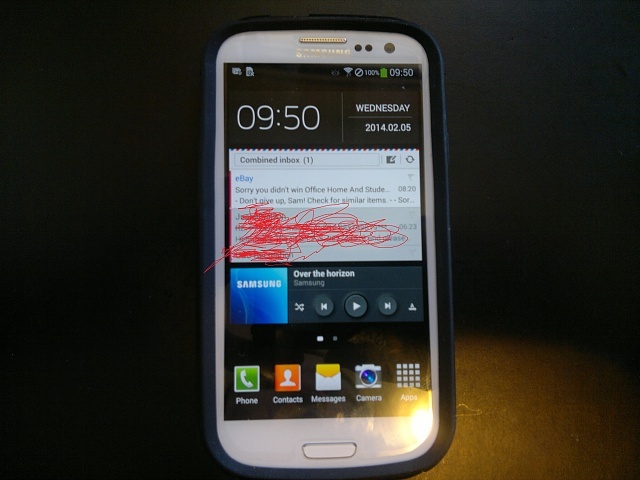 Is there a waterproof version of the Samsung Galaxy S5?